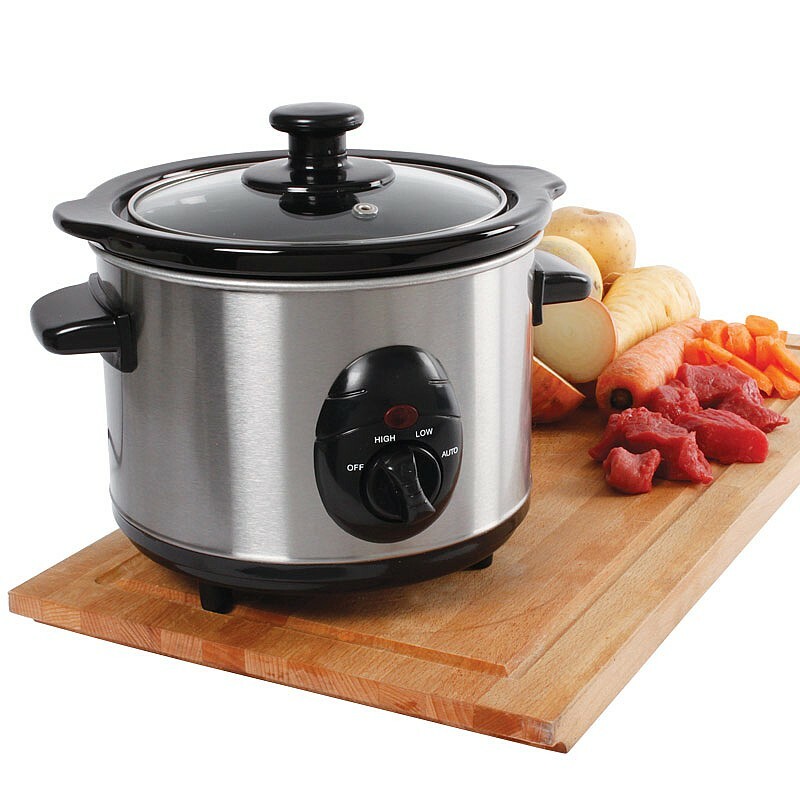 Soups, casseroles and stews, simply add the ingredients to the pot, turn on and the Slow Cooker will gradually cook your meal over the course of several hours, allowing you to go out and come home to a hearty meal! 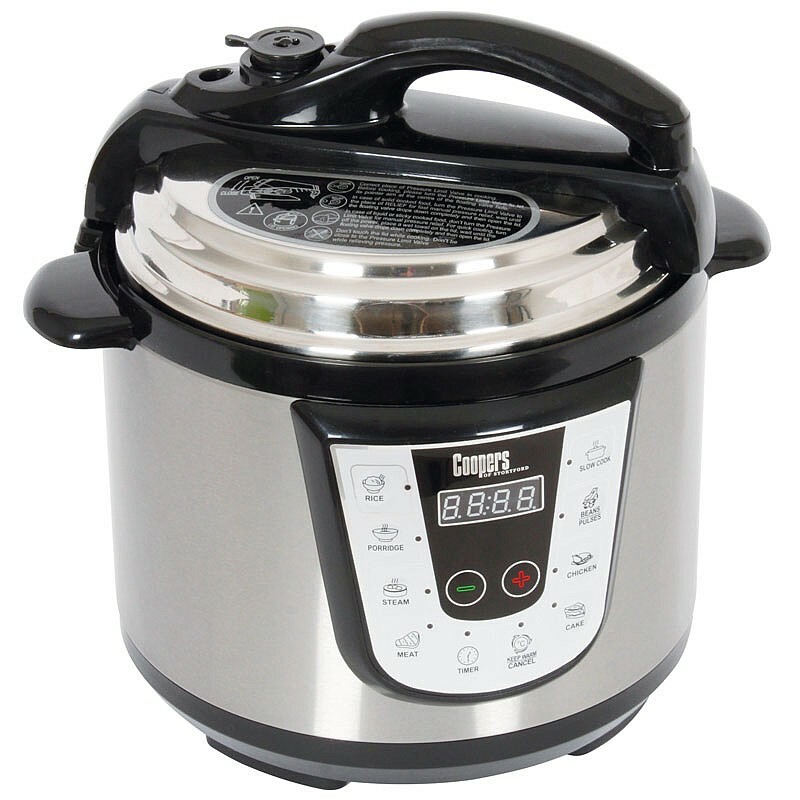 The dishwasher-safe ceramic crock-pot makes serving easy and has a clear glass lid, which allows you to monitor cooking without losing moisture or heat. 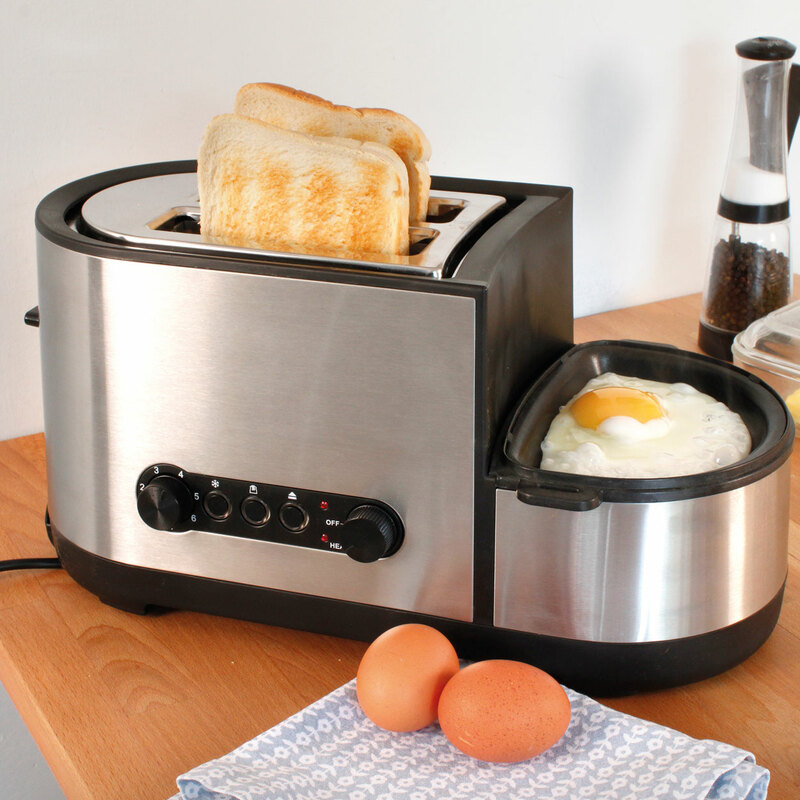 With a stainless steel body the cooker has 3 power settings high, low and auto - a thermostat maintains the power, ideal for overnight or unattended cooking. 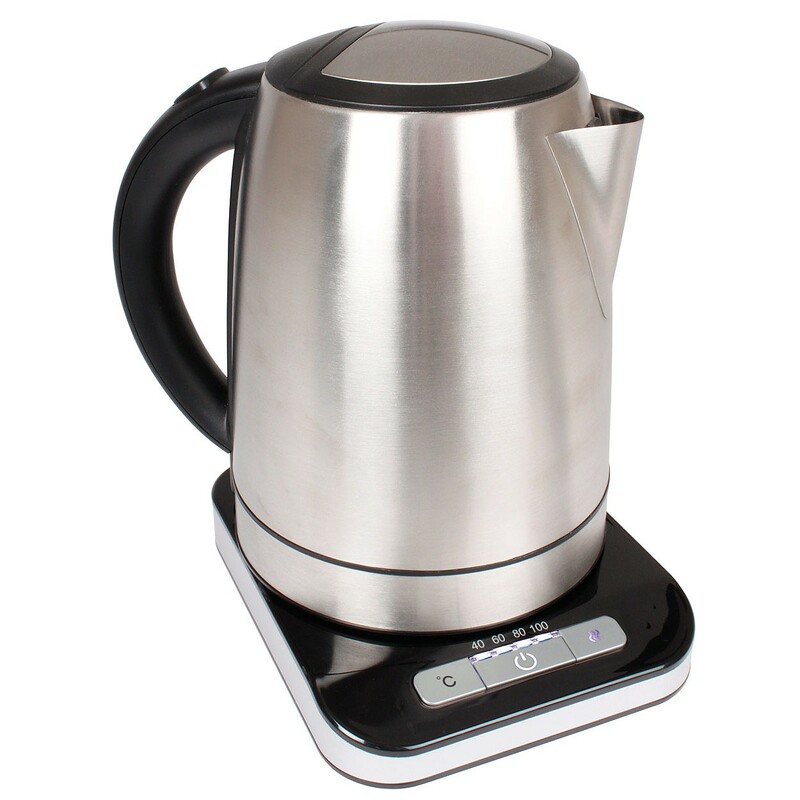 The 1.5 litre (51floz) Mini Slow Cooker is ideal for 1 or 2 people and measures L28cm xW21cm xH20cm (11in x8¼in x8in). It comes with full instructions and a 12 month guarantee.Also available is the Slow Cooker Cook book, with over 200 delicious recipes perfect for every cook.